If you have not yet seen, played with, and/or made an oil lamp with olive oil - please do. Here is advice on exactly that. For you, here is how I made my own lamp. 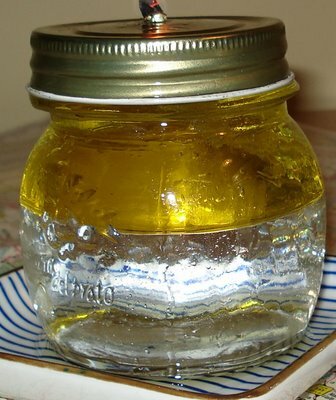 A used glass jar is great for holding the oil, and it is possible to add water below the oil - so that the wick is not far away. If there is a large distance between wick and oil, more than a few centimeters, then it is likely that the wick will burn-out and the lamp stop flaming. Easily fixed with a new wick and oil replenishment. I used a hammer and nail to make a hole for the wick to pass through. I bent the wick sideways so that the flame doesn't easily kill the soaked wick. Olive oil is hardly flammable, and would take very flammable conditions in order to burn openly. I am still adjusting my lamp experiment, and will update on the matter here. 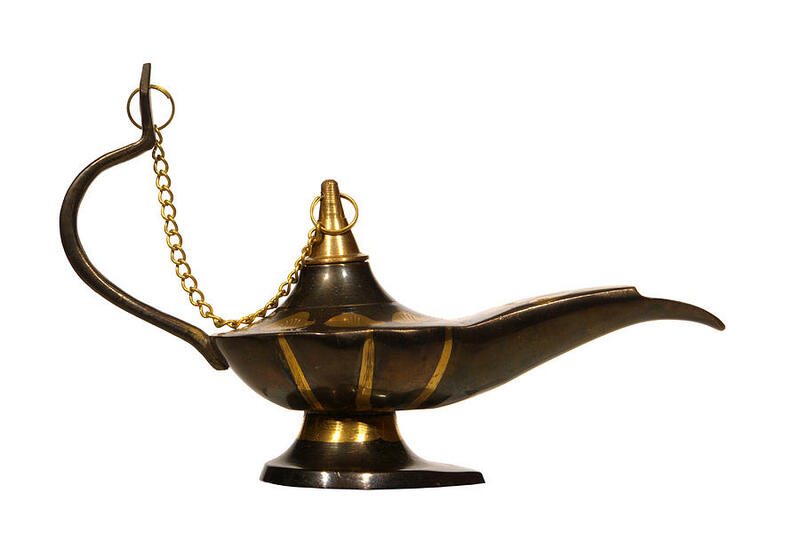 Somehow, it feels that having an ancient style lamp would be most awesome and comfortable. Meh, used jars are what I have. Click here to see my update to this post!